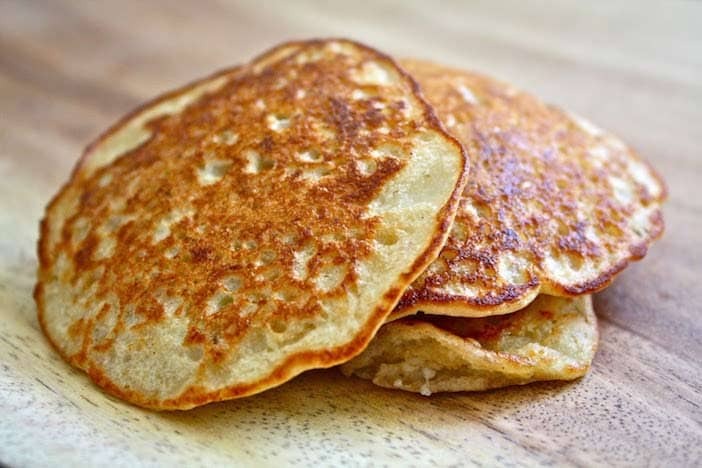 Pancakes are a quick and easy dessert but they also make for a great breakfast. However, if you are following a low-sugar diet (not yet ? Join our 20 no sugar days challenge), you’ll want to steer clear to common pancake toppings such as chocolate spread, bananas, maple syrup, honey or jam. Instead, this recipe uses frozen, mixed berries to provide natural sweetness and no added sugar and in place of regular flour, oats are used to further lower the carb content. Serve with a couple of tablespoons of low fat, no-added sugar yogurt to make this dessert even tastier! Update: Looking for healthy sugar-free cookbook ? 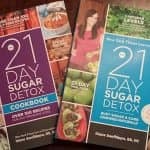 Diane is a certified nutrition consultant and author of two New York Times bestselling books, created the 21 Day Sugar Detox Program with 2 beautiful books with over 100 recipes in each book. Recipes are easy and take less half hour to prepare. Find what is inside each book on my review here. Place the oats in a blender and whizz up on high to make oatmeal flour. Add the egg, milk, and stevia and blend to make a batter. The blender model I use and why I recommend it, explained here. Meanwhile, put the berries in a pan and heat until fully defrosted. Pour a quarter of the batter into a hot, lightly oiled pan, and cook until the underside starts to brown. Flip the pancake and cook for another minute or two until brown. Place the pancakes on a plate and pour the now thawed berries into the middle. Add one tablespoon of yogurt and then fold in half. Eat immediately or allow to cool as preferred. How many servings are the pancakes? Thank you. The recipe is for 4 pancakes. Hi! Is the serving size 4 pancakes then too?